In 2021, the global market for blood glucose test strips will be worth $12.93 billion, its highest ever level, a new report from the Business Research Company shows. Global sales of anti-diabetic drugs will also reach a record, at $121.2 billion. Driving both markets is the worldwide explosion in the number of people with diabetes, especially Type 2. Between 2015 and 2021, the number of people diagnosed with diabetes globally is expected to rise from 415 million to 425 million, a figure that is projected to grow to 642 million by 2040. Between 2017 and 2021, blood glucose test strips market growth will increase from 3.15% a year to 5% a year. Obesity, a major risk factor for diabetes, is increasing rapidly in areas of the world previously noted more for problems of malnutrition. For instance, obesity in the Asia-Pacific region has grown rapidly: from 2012 to 2016, obesity grew at 5.9% a year in India, 5.5% in China, and 4.5% in Japan. Increases in obesity in these populations are directly proportional to their rise in diabetes cases. As a result, Asia Pacific is the region where demand for blood glucose test strips has been growing fastest, followed by Africa. "The market (for blood glucose test strips) in APAC is growing as there are many emerging countries in APAC and people's lifestyles are changing rapidly; they are smoking, eating irregular junk food, and so there is increasing prevalence of diabetes in APAC. People's increasing awareness about health is also boosting the market in APAC. The market in North America and Europe is growing less because there is already an awareness among people from a young age, and they also have more substitutes for the treatment of diabetes. Government initiatives are also boosting the market in APAC." 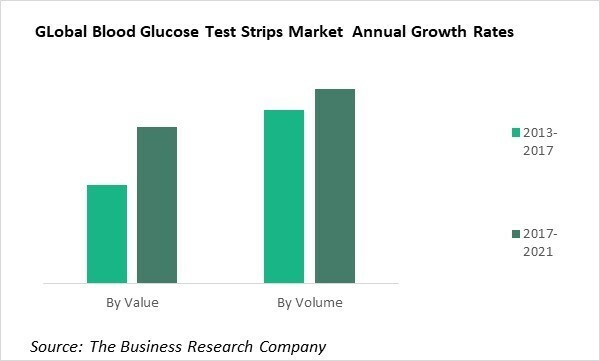 Blood glucose test strip sales growth will occur despite the rise of lower-priced generics that will impact the size of the blood glucose test strips market by value. Generic blood glucose test strips work with a variety of blood glucose meters and are much less expensive than their counterparts. Suppliers of meters have begun promoting or supplying these strips to patients. For example, Pharma Tech Solutions, a California-based company, distributes Shasta GenStrip, a more affordable alternative that can be used with its One Touch and Ultra brand meters. Other generic strip brands in the market include Unistrip, GenUltimate, Equate, and Relion. The wider availability of these cheaper products will restrain the blood glucose test strips market by value. Another restraint will derive from the rise of substitutes. The introduction of new blood glucose tests for testing blood glucose levels in the body is a growing trend in the market. For instance, in July 2017, Abbott Laboratories launched FreeStyle Libre glucose monitoring system in New Zealand. 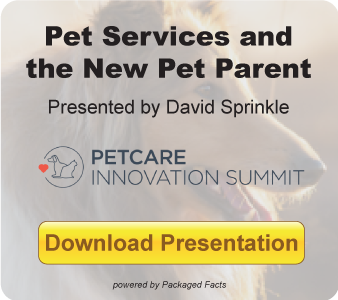 It is a new system that eliminates the need for routine finger pricks. In 2017, Massachusetts Institute of Technology Media Lab and Harvard Medical School collaborated to R&D of the Dermal Abyss project which focuses on innovative diabetes tattoos with biosensors and checks blood glucose levels in the body. Many diabetes patients are afraid or unwilling to prick themselves with lancets each time for testing. The American Diabetes Association (ADA) recently recommended the use of the HbA1c test for diagnosing diabetes. Previously, HbA1c monitoring devices were approved by the US's Federal Drugs Administration only for long-term glucose control, but that is under review for extension to Type 2 monitoring. Diabetes Australia now also recommends HbA1c testing every three to six months for type 2 diabetics. These alternative methods of diabetes testing will negatively affect the blood glucose test strips market. Of the types of blood glucose test strip, the biggest seller, worth about two-thirds of the global market, is the glucose dehydrogenase type. These have glucose dehydrogenase sensors. Glucose dehydrogenase is an enzyme or protein catalyst that is used to accelerate the oxidation of glucose to gluconic acid. Glucose dehydrogenase is less susceptible than glucose oxidase to common interferences. Glucose dehydrogenase-based test strips are less expensive and more accurate and specific than the main alternative, glucose oxidase strips, as cross-reactivity from other blood sugars such as maltose, galactose, or xylose is zero. Not surprisingly, perhaps, the market for glucose dehydrogenase strips is much larger than that for glucose oxidase strips, both globally and in countries across the world. The market for glucose dehydrogenase strips is also growing over twice as fast as that for glucose oxidase strips. Again, when the market is segmented according to the electrode material used into thick film strips, thin film strips, and optical strips, the largest segment is for thick film strips, which are worth nearly half the global total. Thick film electrochemical blood glucose test strips are composed of several layers including the analytical layer, separating layer, and support layer. Each strip contains printed working and reference electrodes that are coated with reagents and membranes. Thin film electrochemical blood glucose test strips consist of glucose enzyme electrodes on thin layers of enzyme glucose oxidase, entrapped over oxygen electrodes via semi-permeable dialysis membranes. Thick film electrochemical blood glucose test strips are composed of several layers such as the analytical layer, separating layer, and support layer. Each strip contains printed working and reference electrodes that are coated with reagents and membranes. Blood Glucose Test Strips Global Opportunities and Strategies To 2021 from The Business Research Company is one of a new series of industry reports. It provides a blood glucose test strips industry analysis, a blood glucose test strips market overview, analysis and forecasts of market size and industry statistics, blood glucose test strips market growth rates, market trends, market drivers, market restraints, market revenues, blood glucose test strips market shares, and company profiles of the leading competitors. Extensive secondary research is augmented with exclusive insights and quotations from industry leaders obtained through interviews. Market analysis and forecasts are provided by a highly experienced and expert team of analysts and modelers. A range of strategies for the blood glucose test strips market are explained and opportunities identified. 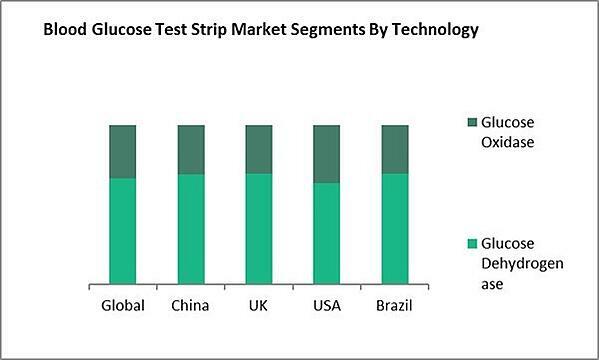 Data: Blood glucose test strip market size and growth for 7 regions and 12 countries; global regional and country blood glucose test strip market size and growth segmented by type of technology and by electrode material; global, regional and country blood glucose test strips per capita consumption and market size as a percentage of GDP 2013-21; Roche, Johnson & Johnson, Ascensia, Abbott, Nipro Diagnostics, Terumo, Arkray, Omron financial performance 2013-21. Other Information: PESTEL analysis, drivers and restraints, customer and operational insights, blood glucose test strip market by region and country covering opportunities, associations, investment and expansion plans, corporate tax structure and competitive landscape; blood glucose test strip market trends and strategies. Sourcing and Referencing: Data and analysis throughout the report are sourced using end notes. Sources include primary as well as extensive secondary research. The Business Research Company is a market research and intelligence firm that excels in company, market, and consumer research. It has research professionals at its offices in the U.K., India, and the U.S. as well as a network of trained researchers globally. It has specialist consultants in a wide range of industries including manufacturing, healthcare, financial services, and technology. The Business Research Company’s management team has more than 20 years of varied business research experience. They have delivered hundreds of research projects to the senior management of some of the world’s largest organizations. The Business Research Company’s consultants have master’s qualifications from top institutes and include MBAs, MSCs, CFAs, and CAs. The Business Research Company’s consultants gain training and qualifications from the Market Research Society and are trained in advanced research practices, techniques, and ethics.